Tokyo Shinjuku branch: This is the first place I go when I’m in Tokyo. It has multiple buildings that specialize in different goods: electronics, games, luggage, etc. The camera building (building 4, to the left of the main building) has everything you could possibly need (and even more that you didn’t realize you needed). The darkroom floor is on the 6th floor. For film you need to go to building 9, which is even further west of building 4. There’s only one floor, and it sells film and photography books and magazines. 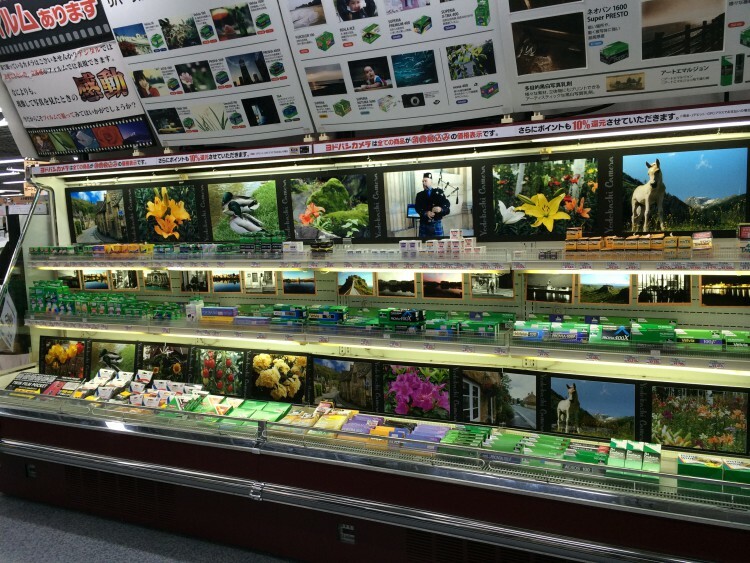 You can also buy lomo-style cameras there. Until I can find my most recent photos, check out this link to see what the coolers have looked like in the past (but be warned: they’ve diminished over the years). Kyoto branch: Like most other Yodobashis, it’s located right next to the station. The camera floor is the first floor, and towards the back of the building you’ll find a small film and darkroom section. The film selection was pretty good when I first arrived here a few months ago, but they’ve just rearranged/designed the film cooler and it’s looking worse for wear (it is possible they are waiting for Kodak to supply them with film again). I have noticed that all the large format film has mostly disappeared. They do have a few filters for black and white (yellow, red, etc) but may have to order in if it’s not in stock. Osaka (Umeda) Branch: I just went here for the first time in many, many years and I have to say I was disappointed. There is no more accessible film cooler, although they do have a few shelves with empty film boxes on them that you can take to the counter and ask for. The coolers behind the counters are also misleading — they have plenty of empty film boxes in them to make them look full, but if you ask for them they’ll tell you they’re sold out. I was not happy with the customer service there at all, the people working the film counter seemed to have no idea what film was. 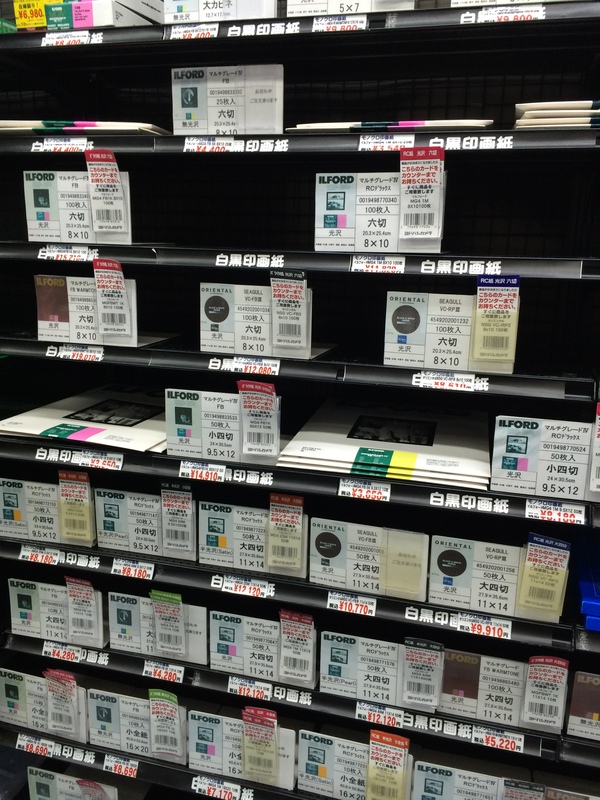 They do have a slightly larger selection of paper and darkroom products than Kyoto does. Hiroshima: There is no Yodobashi Camera, nor a BIC Camera, and I was not able to find film anywhere else the last time I was here, so please be sure to bring some with you. Fukuoka (Hakata Station) Branch: This was my go-to branch for many years, and is the only branch in Kyushu. It’s directly across from the Shinkansen tracks, so if you are exiting from the Shinkansen tracks, take a right out of the station and turn right again. You can access it from the little road that runs right next to the station, or the proper road that runs parallel to it. 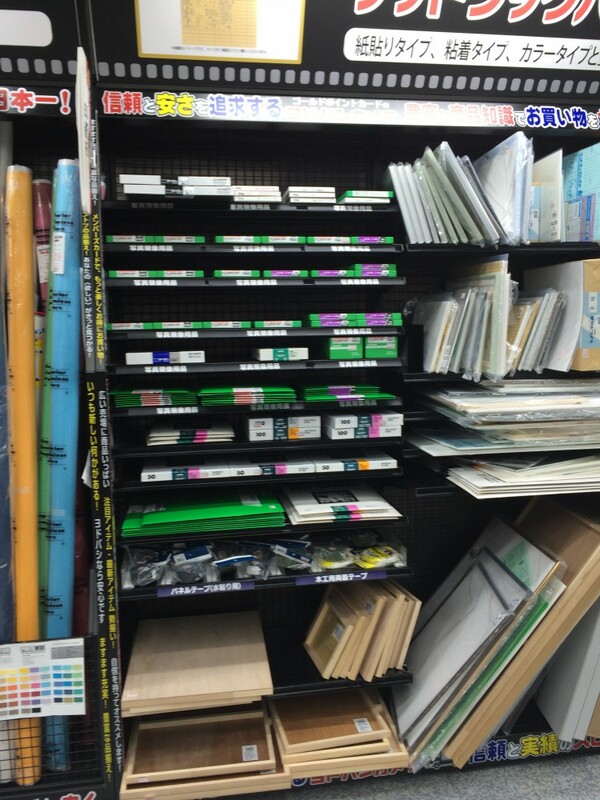 They also have a nice selection of film and paper and darkroom products. Sendai Branch: They had a small selection of film when I was here at the beginning of August, but no 400 speed black and white film, which was disappointing. The darkroom selection is also small. This branch, along with the Niigata one, may be the only places to source film in the Tohoku area. 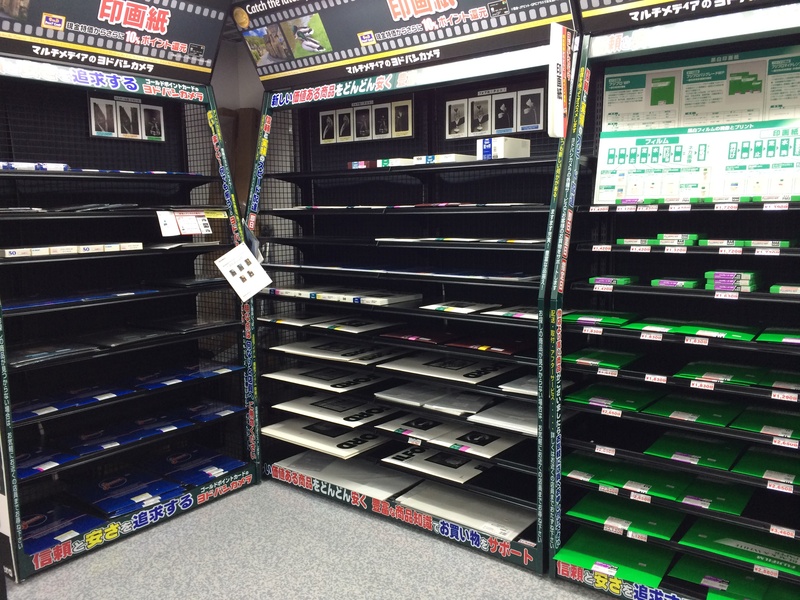 Despite Google searches and Google maps, most of the film and camera shops listed on the internet are no longer open in places like Aomori, Akita, and Yamagata. One good things about Yodobashi is they have a great online selection. Even if you just type what you are looking for in the search box, it will come up, so don’t worry about your (lack of) Japanese. They have very fast free shipping within the country, so that’s an option if there isn’t one near you, or the staff at one is unable to help you. So…is Yodobashi Camera the only option? Of course not. BIC Camera is a well-known competitor to Yodobashi and in the past had a darkroom and film selection to rival Yodobashi’s. I don’t know if this is the case anymore, but they are certainly worth checking out. Similarly, Camera no Kitamura have some film. This used to be my go-to shop when I lived in small cities, and they are still a viable option in places where the big stores don’t exist. 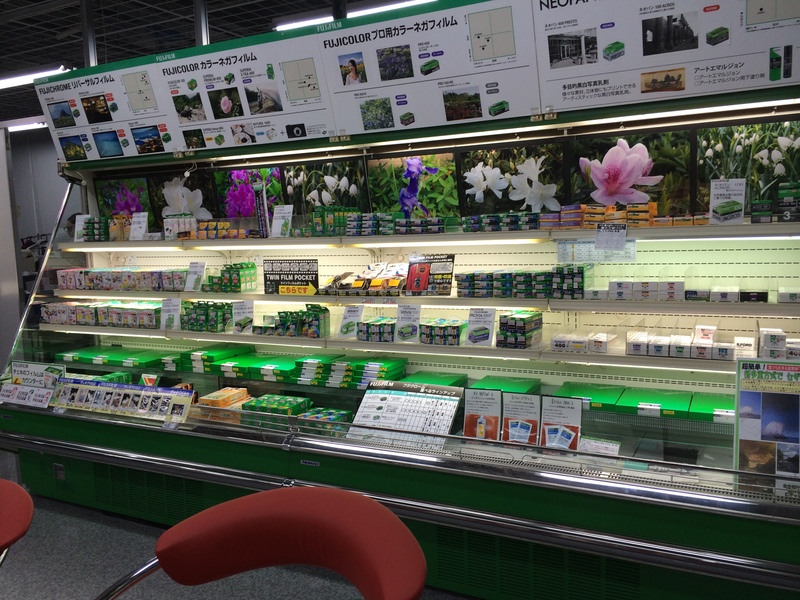 The problem with them though is that they have a very limited selection of usually just Fujifilm products. They’ll have them in 35mm and 120, colour neg and transparencies, but black and white will be limited, if it’s even available at all. I’ve also found that they tend to be outside of city centres, so you may have to search for one.